I hope you had a great Holidays. I surely had it. I had time to think about all the things I want to improve and... to rest. I really needed a rest to organize my ideas. One of the things that you will be seeing in this coming two weeks will be one or two posts with some Tiddly Inks cards. 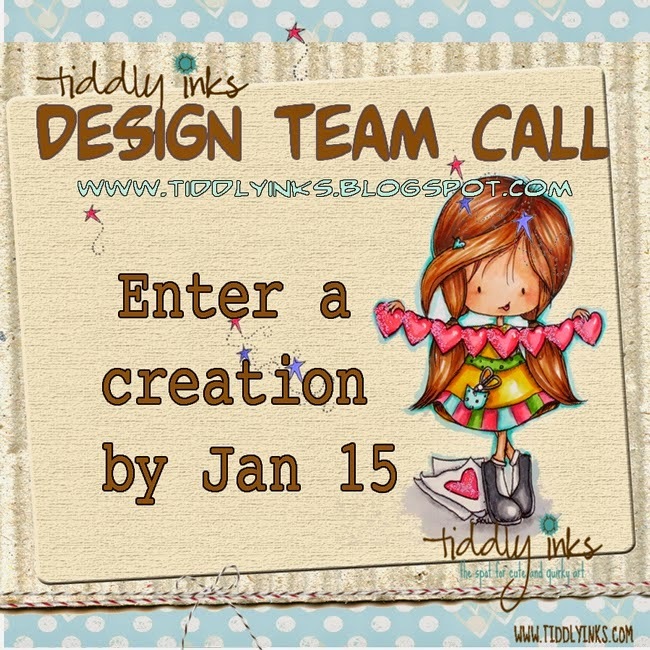 Tiddly Inks is having another Design Team call and I am working to present some cards to the call. As you can see, the last day is January 15th and I don't have too much time left to do it, so I will be working above all on that. I am a slow coloring, and I need a lot of time to think how I really want the card to be made...I hope this year I can get more practice with that and surprise you even with more things. 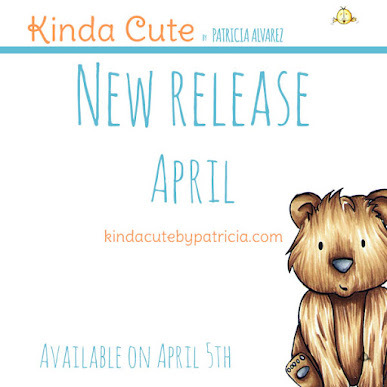 I know this is not a change in the blog, if I get to be part of the team I will be posting one card at least each week, but I will try to make enough things to have some variety. Between the changes I was talking about, I am working and learning in how to make videos. I don't have any experience at all in editing videos. I have one already made and it is edited, but I need to change some things and I can't do it right now, so it will have to wait a little bit. The bad news is that I will only make the videos in Spanish. I always try to have each post in both languages, but I can't do it with the videos. To try to make everything better for everyone, I would probably open a channel in YouTube and I will try to write down the transcription or the main details of what I am saying on the video. This means...I need more time to have this kind of posts finished. Another change I will probably make soon is having some printable for you to use. I will make a special tab for this kind of freebies so it is easier for you to find. Between other things I have think of, is having some giveaways of some of my cards. I haven't decided yet how often and what would be the "rules". I will probably wait until I have the cards made on January and early February I will do the first giveaway. This will be open internationally. I will probably make some other giveaways with sets of cards or CD sleeves from time to time, but this will be only for residents in the US, since the shipping costs for international countries are very, very expensive. I think those are the main three changes I will be making during this month. I am open to suggestions or ideas. Just comment in my blog or in my Facebook page, or send me a private message. I hope you like the changes and you are excited about them!